As the demand for video contents grows each day, online publishers are aware that audiences have long gone global. Publishers need to drive traffic with stories that are relevant, interesting and short, due to the reduced attention spans of today. In short, online publishers need more videos, in languages that speak to their target audiences, to publish on social media, web portals, sites and devices. This is where voice over comes in. Voice over enables video contents by the world’s leading news agencies to be easily adapted to audiences in any country. Voice over begins with a video that is short, relevant and interesting. The original voice track is then translated by professionals that understand the target audience, its culture and sensibilities, in a process known as content localization. The cultural adaptation of video contents enables online publishers to successfully reach their audiences because they not only speak to audiences in their own language, but also do this by being aware of their local idiom, slang and other language variations. Once the original voice track turns into a script that has been translated to the language of the audience, the voice-over process per se begins. A recording of the script is then created. Here, special attention is given to tone and pronunciation, all factors that influence the level of attention of the audience. The result of this process is the original video with a voice that tells the story in a foreign language, in a way that sounds both attractive and natural to the target audience. Video contents cover a wide range of topics and formats including news, sports, celebrities, documentaries, and more. Most of these contents are short form video contents which normally do not exceed 1 minute. This short length allows online publishers to continually provide their audiences with new contents, keeping traffic levels high to enable ad revenue. Since video contents are published worldwide on a variety of websites and platforms, voice over makes it possible for these videos to be easily distributed in different languages. This is why it is not strange for voice over to be used in YouTube videos, cartoons and even audiobooks. 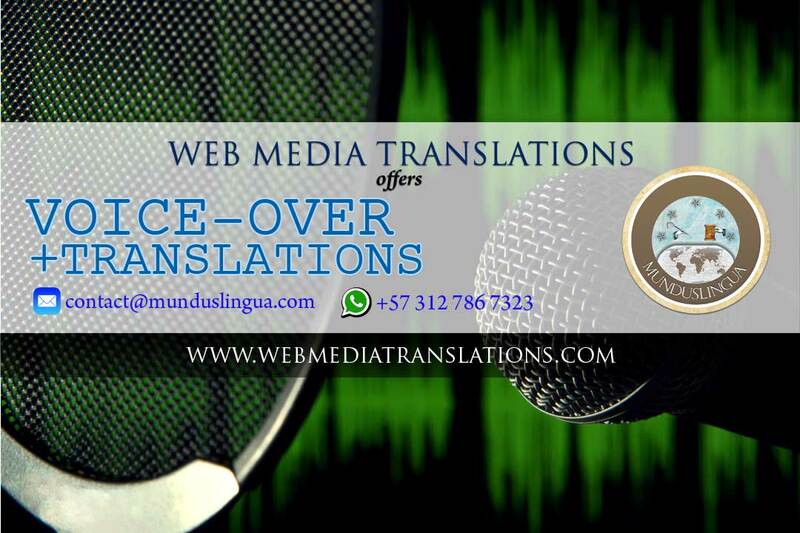 Web Media Translations has several years’ experience in translation and voice over for web and media contents. If you are an online publisher or video content provider that requires voice over services to make videos available in foreign languages, do not hesitate to contact us or join us on Facebook for future projects.